Allen Breindel, PT, DPT-- Dr Breindel joined CTI Physical Therapy in 1992 with the opening of the Warren office. He received a bachelor of Science degree in Physical Therapy from the University of Pittsburgh in 1982, and a doctorate in Physical Therapy from Chatham University in 2007. He served as Director of Physical Therapy at Warren General Hospital for ten years with interest in orthopedics and geriatrics physical therapy. Allen became a shareholder in CTI in 1995 and serves as Director of the CTI Warren office. He is a member of the Pennsylvania and American Physical Therapy Associations. Kevin Dustin, PT, DPT, Cert. MDT-- Joined CTI Physical Therapy in Warren in 2012. He earned his Doctorate in Physical Therapy in 2012 from Slippery Rock University of Pennsylvania. He also has a Bachelor of Science degree in Exercise Science from Slippery Rock University of Pennsylvania. He has an interest in orthopedics and sports therapy and is a member of the American Physical Therapy Association. Kevin has completed further education in Mechanical Diagnosis through the McKenzie Institute. This certification specifically focuses on movement based treatment for the low back and extremities and has been shown to improve pain in less treatments. 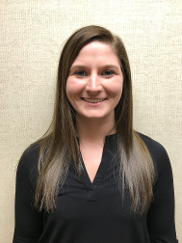 Alyssa Settelmaier, PT, DPT, CLT-Joined CTI Physical Therapy in Warren in May 2018. She earned her Doctor of Physical Therapy degree in 2018 from Gannon University in Erie, PA. She also earned her Bachelor of Science degree in Exercise Science from Slippery Rock University in Slippery Rock, PA. She is certified in Lymphedema therapy through the Norton School of Lymphatic Therapy. She is also interested in women's health, geriatrics and orthopedics. She is an active member of the American Physical Therapy Association. C. Andrew Sandstrom, MSPT -- Joined CTI Physical Therapy in 1993. He has a Masters in Physical Therapy from D'Youville College. He is currently a member of the American Physical Therapy Association. Molly Birt, PTA--Molly joined CTI in June of 2014. She attended Mercyhurst at North East where she earned her Associates of Science degree. She has a specific interest in orthopedic outpatient care and is an active member of the American Physical Therapy Association. Patti Larson, Practice Manager (Erie & Warren offices) -- Patti joined CTI Physical Therapy with the opening of the Warren office in 1992. She coordinates and monitors clerical and clinical activities to assure efficient office operations and compliance with corporate policies. Patti is responsible for billing activity and managing the Accounts Receivable. She has extensive knowledge of claims submission and monitors all payments for accuracy and maximum reimbursement benefits for patients. If you have a question regarding billing, or any of the services provided at the Warren office, Patti will get you the answer! 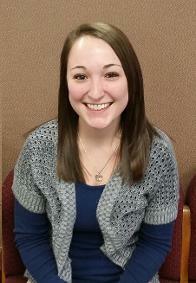 Rebecca Peterson-- Administrative Assistant Becky joined the Warren office of CTI Physical Therapy in 2004. She received a certification in the Medical Office Assistant program at Jamestown Business College that same year. Becky performs various duties including scheduling patients, insurance verifications, authorizations, data entry, phone calls, inventory, and assisting with any other jobs that need done. Becky is pleasant, helpful, and very hard-working. Lisa Paul: Secretary/Transcriptionist Lisa joined the Warren office of CTI in 1993. Her main responsibility is the timely transcription of reports. Lisa also helps with the phone calls, scheduling, and whatever else needs done. Lisa is cheerful and friendly with a wonderful sense of humor. She’ll get the job done and still make time to share a laugh and keep the work place fun. Sherry Erickson-- Sherry joined the Warren office of CTI in 2004. Her main responsibility is collecting, posting, and managing account payments and charge entry. She is also responsible for submitting claims and following up with insurance companies. Sherry processes payments from patients and insurance companies for a daily deposit. She stays current on the ever changing guidelines of the various insurance companies and is willing to answer any question you may have regarding your account. In her spare time, Sherry and her husband enjoy spending time with their grandson, Leigh.